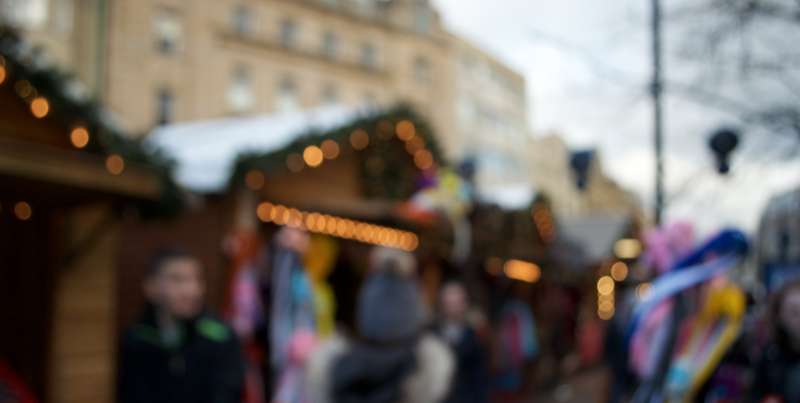 As I’ve said on my previous post back in October, there is a Christmas market every year in the city centre in my town. There was also a Christmas light switch on event (where everyone gathers to see some well-known person switch the lights on) which I usually watch every year but I didn’t get to this year. I’ve not been feeling very well. I’m not sick but just been a bit down recently so I didn’t go down to see it – but I did hear it was amazing just as always. I’ve mentioned it before, I take pictures of the Christmas tree every year too. I now have a gallery of the same tree taken in different years, it’s great even though it looks exactly the same, I’m so glad I do it. You guys probably know that by now I like doing things annually – it’s something to look forward to! Sorta sentimental too. Back in 2012, I posted this exact Christmas tree on my Instagram. 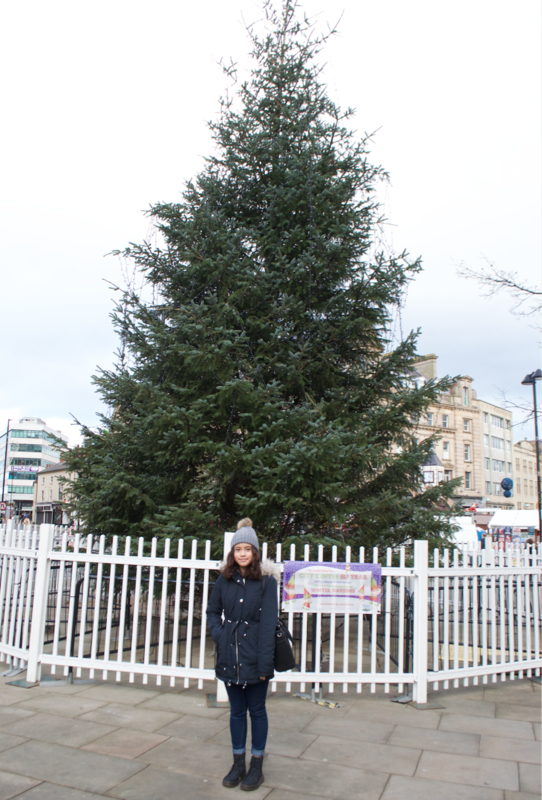 Christmas tree (2015) and little me! Pretty, right? I’m wearing my new magical coat (Michelle Keegan’s Lipsy coat) – it’s a magical coat to me because it is reversible; one side is a black puffer coat, the other a navy parka coat. I remember all the “cool” kids at school years ago would talk about their super cool magical coats. I always wanted a reversible coat and 10 years later I finally have my first reversible coat. It’s super warm although it bites the bank a little, it was worth it! 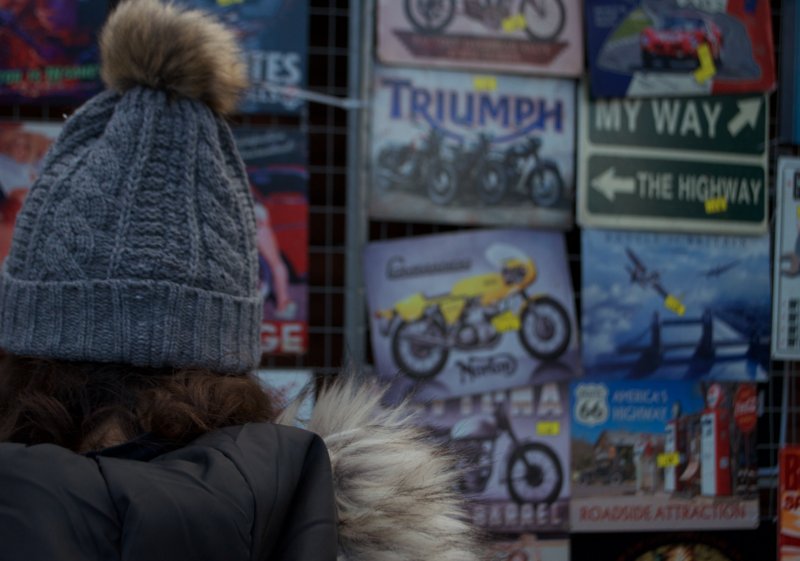 Posters being sold at the Christmas markets. Blurry, but artistic. I think. Can you spot my hat? These shots were actually taken on Black Friday but the camera didn’t really capture how busy it was! I worked my first Black Friday (and Saturday) shift, yes, in retail. Initially, before work, I watched a video from America which displayed people fighting and shoving each other for discounted items (mostly electronics) so I was quite nervous going into work. Surprisingly though, it wasn’t as busy as I’d thought it’d be and certainly not like the madness seen in the US. My shift went really fast and I actually had fun, it’s weird but I always do love working. Learning new things makes me happy! More xp for me! I didn’t find many good deals. I was waiting for these beautiful knee-high boots to be discounted but of course, it stayed full price regardless of Black Friday. I did end up buying them anyway. 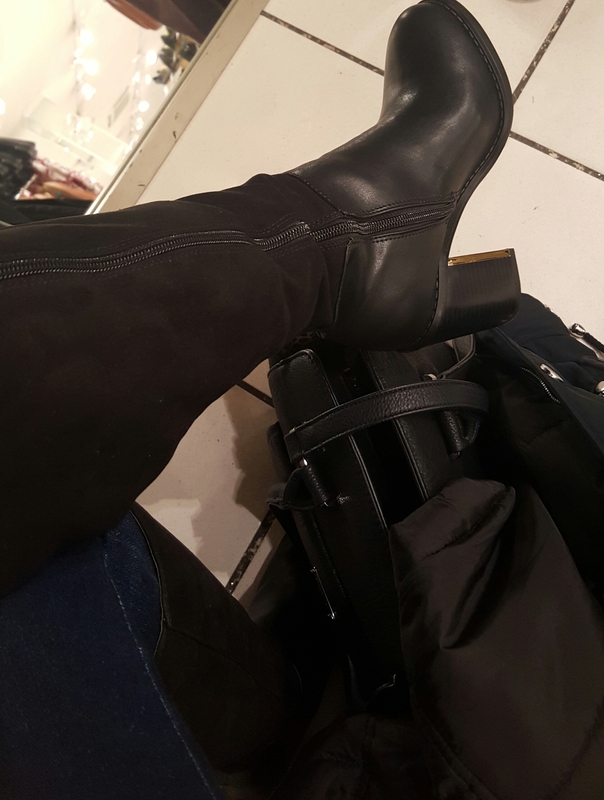 I tried another pair on in store which was equally as gorgeous but the heels were too much for the ideal “everyday” boots. If I were the type to go out often, these would be my go-to winter going out boots but I hardly go out so I thought they’d be a waste being displayed at home. New Look knee high, absolutely man-killing boots. Anyway, I’ve been getting quite anxious about an upcoming exam I have in a few weeks on anatomy. I love anatomy from drawing it all out, colouring it (my anatomy colouring book is the most relaxing yet stressful thing I’ve ever purchased), watching videos and reading about it! BUT, the exam is completely different from all the diagrams I’ve learnt so it’s really worrying me. I guess that’s why I’ve been so down recently – it’s a mixture of stress and anxiety. If there’s one thing I’ve learnt throughout all my stressful times is that: MUSIC ALWAYS HELPS. If you follow me on Twitter or have had conversations with me recently you’d know how much I can’t stop listening to Adele. Her new album (25) is amazing, I really recommend it to anyone! My favourite songs from the album have to be “When We Were Young” and “Water Under The Bridge”, give it a listen! A close friend of mine also shared a playlist on Spotify, “Late Night Jazz” It’s so calming and makes me feel all sorts of stuff. The good stuff, not the omg-i-have-a-deadline-omg-i-have-an-exam-soon-where-is-my-heart-again stuff. It’s great when you’re late night studying. I work black friday as well. Wasn’t really super bad as far as busyness and stuff. I love listening to relaxing music. My go to is usually Soothe by Jim Brickman. So awesome! I love that, thanks for showing me ? I am sorry to hear that you have been feeling down at the moment. I really hope that things will improve and that your spirits will be lifted soon. Sometimes holidays can be a weird thing. When there is a lot of expectation to be happy or a certain way, and sometimes your mood is just not there. That is so cool that you have been taking the same photos for years. It can be a great thing to have traditions like that. 😀 The pictures look really nice! I am glad that work wasn’t a nightmare and no crazy rush! I liked Adele’s new album. She has such an amazing and powerful voice. Unlike anyone I have heard in a long time. I’m glad you like the album as much as I do 🙂 I’ve been feeling better thank you Kya! I love Adele’s new album! She has the most amazing voice. Gives me chills! I think most of the Black Friday busy-ness is at midnight 🙂 I’m glad you liked it as much as I did! I’m sorry you’ve been feeling down lately 🙁 I hope once your finals are over (good luck with them, by the way! ), you’ll get out of that slump and you’ll feel happier. I love that photo of you and the giant tree. It’s really a gorgeous tree! And that blurry shot is actually really artistic. That’s a real nice shot! Feel better, Pauline! Thanks Tara! 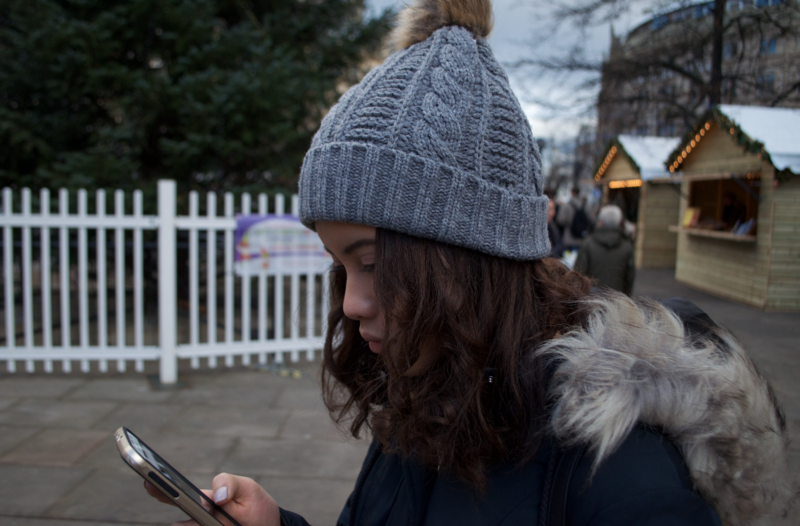 My first exam is this Thursday – hence the lack of blog posts! It is so pretty! And definitely people buy more electronics than clothes and shoes! That’s a neat idea to take a picture of the tree every year! It’s seems fun to look back and see if it changed any 🙂 That’s awesome that your coat is reversible. I don’t own any that are like that, but it looks like it’d be very handy! Black Friday here in the US is pretty crazy in some stores. I’ve heard that it’s not as bad anymore because many people will shop online instead. I still saw a video of a Black Friday fight this year though! That’s good that it wasn’t as busy for you. Love the boots you got! Sorry to hear that you’ve been feeling down 🙁 I agree that music is so helpful. There’s always a song out there for any type of mood. I hope the anatomy exam goes well! Good luck! Thanks Cat! It’s this Thursday! The coat is handy for different outfit choices ? You look so teeny in front of the tree! Haha, I do! I am naturally tiny anyway! Cute coat. I’m also trying to start a tradition this year with elf on a shelf. but it’s become tiring already. Maybe I pick an easier tradition next year. OMG CHRISTMAS VILLAGES!! That is what I miss the most in Europe. I hope that you are feeling better now. I got it from Lipsy, Tiff! It’s awesome that you got another year of the Christmas Tree tradition in the books. This weather is great because you can finally bust out the winter gear ;). YES, Black Friday is crazy here but it depends on the places. Walmart is pretty crazy compared to maybe Macy’s and etc. I like your new boots!! Personally, I love winter clothes much more than summer! Just a little bit and you will be able to relax. Massive hugs your way hon!!! That’s so cute, I might start that too! Need to go to New York!! ? 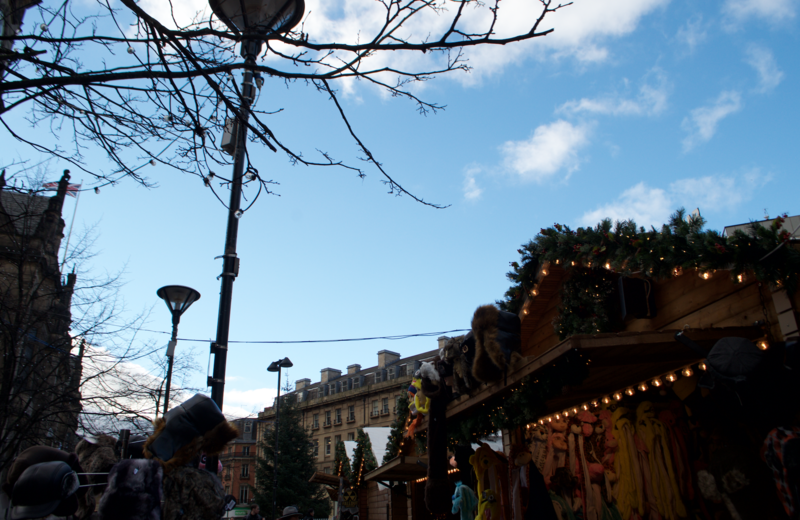 Going to a Christmas market is actually on my list of things to do right now! Absolutely love this Christmassy season – I don’t think I’m utlising it enough yet. Thanks Catherine! Go out and be festive! I love your new coat! That’s so cool. I’ve never had a reversible jacket, what does the other side look like? The Christmas market looks fun. We have one in Leeds, but it’s really small. And they sell the same things every year, unfortunately. I went to Manchester’s last year and that was amazing, but don’t have time to go this year because of work. I feel for you, working on Black Friday. I definitely don’t miss retail – it’s the worst at this time of year. Glad you got through it okay, hope you get some time off over the Christmas period, because I know I rarely did! I hope that after your exams and when it gets closer to the Holidays that you’ll feel better. With that being said, good luck on your exams! I don’t think that I’ve ever seen a reversible jacket, but now I’m going to go look for one! Those boots are HOT! I have my own pair of knee-highs – perhaps you caught a glimpse of mine on my blog or Instagram – they are a must-have. And worth the extra money too. 😉 I know they will get a lot of wear, so don’t feel guilty haha. Hope you’re feeling much better, sometimes getting out can help. I like to get some fresh air because it helps me clear my mind. I hope your exam goes alright, or that you did alright (depending when you receive this). You’re a smart girl and I’m sure you’ll do much better than you thought you would. There’s something wonderful about doing things annually. I hope to start new Christmas traditions myself. Happy holidays!